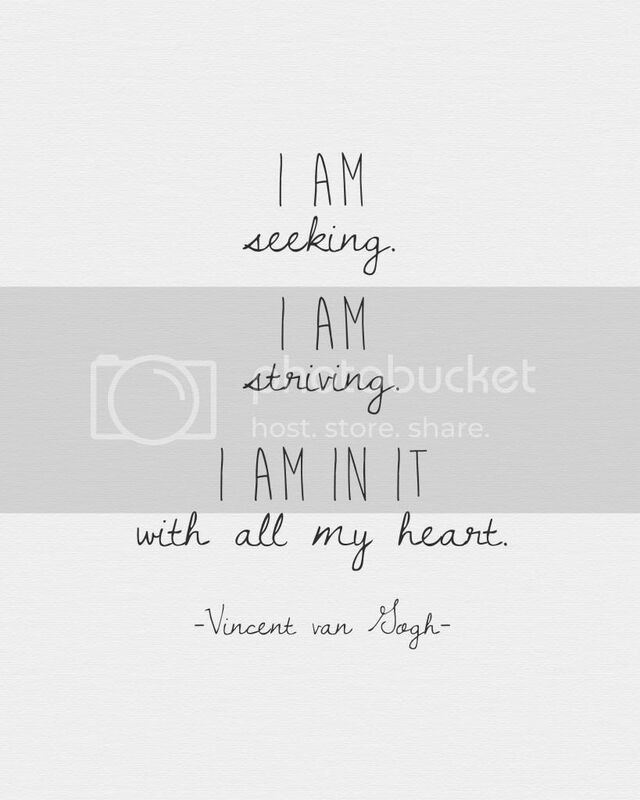 "I am seeking, I am striving, I am in it with all my heart"
This inspirational quote printable features a quote from Vincent van Gogh against a simple white background. Just click the image above to download. Enjoy! This is so cute! But it keeps coming up with the Photobucket banner on it.